Pancake making seems to be a way of bonding for Russian President Vladimir Putin and Chinese premier Xi Jinping. The pair were spotted wearing blue aprons, pouring out batter and turning the pancakes over before eating them with cavier and a shot of vodka on the sidelines of the Eastern Economic Forum. 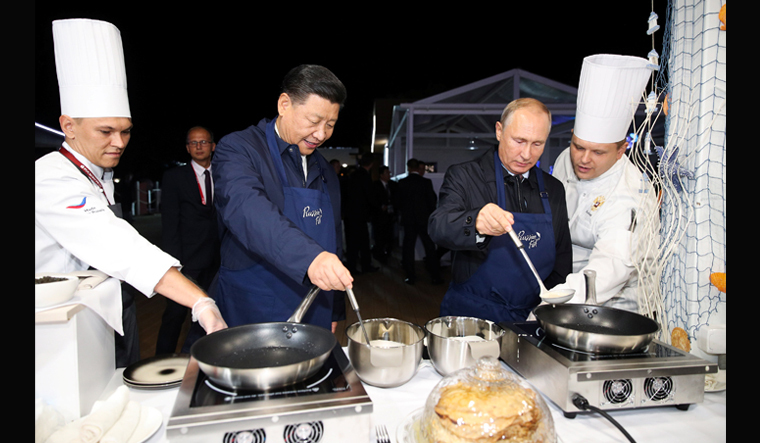 As new agency AFP reported, this was the second time that Putin and Xi were foraying into batter-based cooking. When Xi visited China in June, Putin made a Chinese pancake which Xi tried.  On Tuesday, both leaders were tight lipped about the pancakes they had made for each other, but there were plenty of comments about US President Donald Trump and his policy on trade protectionism. During the event the leaders also pledged to form deeper economic and military ties. “Amid the quickly changing international situation and the factors of instability and unpredictability, the cooperation of Russia and China takes on greater and greater importance,” Xi told reporters during the event, which experts noted took place as Washington’s relationship with both countries deteriorated. “Together with our Russian colleagues, we will increase fruitful co-operation in international affairs and intensify co-ordination...to oppose the policy of unilateral actions and trade protectionism,” Xi said. Putin informed that the two countries plan to use their own national currencies more often in trade deals as their relation with the West deteriorates. “The Russian and Chinese sides confirmed their interest in using national currencies more actively in reciprocal payments,” Putin told journalists. He added this would “increase the stability of banks’ servicing of export and import operations while there are ongoing risks on global markets”.